This excerpt concerns the village and its inhabitants. Up until the time of the first Great War, Benfleet was a country townlet of four to five hundred people. Most of them lived in cottages grouped about the lovely (mainly 13th century) Church, with three inns – the Hoy, the Crown and the Anchor – as focal points. Below the Church was the railway station on the main line from Fenchurch Street to Southend. Beyond that was the Creek separating Canvey Island from the “mainland”. Behind the village rose the wooded hill near the top of which the Vicarage had been built in 1852. The only made-up roads were the High Street from the Church to Creek; the London Road, joining the main London-Southend road some 2½ miles away; Vicarage Hill, then the shortest road to Southend; and the Endway, a cottagy, “blind” road which has since been made into a shorter, modern through route eastwards. 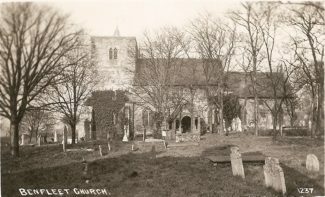 There were a few outlying farms and a scattering of houses; but the main impression must have been of a sleepy, isolated country parish, overlooking Canvey to the broad waters of the Thames Estuary. The inhabitants mostly made their living by agriculture, with a few boatmen and boat-builders and small tradesfolk. Canvey Island was once little more than a mud-flat, reaching out into the Estuary, partially covered by water at high tide. In the 18th century, Dutch engineers built a strong earth wall all round it, where half a dozen farmers tilled the rescued soil. Access at low water was by a causeway from Benfleet, which could be used by pedestrians and carts and later by cars. At such times there was no more than a trickle of water; but at high tide the depth was 8 to 10 feet in the middle and the width greater than that of the Thames at London Bridge. Thus access to the Island for a period of about six hours in every twelve was by ferry, for pedestrians only. For the East End Cockney there was a lot to be said for beaches little more than an hour’s journey from Bethnal Green. 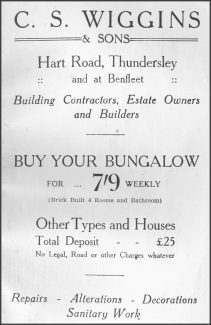 After the war the attractions of both Benfleet and Canvey as places to retire to brought along an increasing number of residents, mostly from the eastern parts of London; others found that, with a one-hour train service to London, it was practicable to live in the country and work in town. Further, Canvey’s possibilities as a seaside resort were discovered and exploited to good effect. For the East End Cockney there was a lot to be said for beaches little more than an hour’s journey from Bethnal Green. By 1927 this post-war “development” was in full spate. Planning was primitive to non-existent; restrictions on type and quality of building were ignored. A dozen or so tracks, compact of grass, weeds or dust in summer, and of squelchy mud in winter, were designated as roads and lined irregularly by bungalows and villas, often of the cheapest materials and crudest design. One gathered that in many instances optimists from London had purchased building plots soon after the War for a few pounds and some of them had done their own building at weekends or employed one of the many small contractors who set up in business to cater for the rush. In this way, pleasant, well built houses sometimes found themselves flanked by tawdry little boxes or shacks bearing such names as “Dunrovin” or “Osokosi”. Quite a number of the plots were sold to people who for some reason or other never claimed them, and became weed-infested gaps in the road. An enterprising resident had a nose for such forgotten properties and took advantages of the law which permits (or permitted) a “squatter” on unclaimed land to establish his right to it after a certain period in the absence of any legal claimant. In this way he acquired a number of such properties at the cost of no more than a pound or two for rough fencing and a few years’ patience. 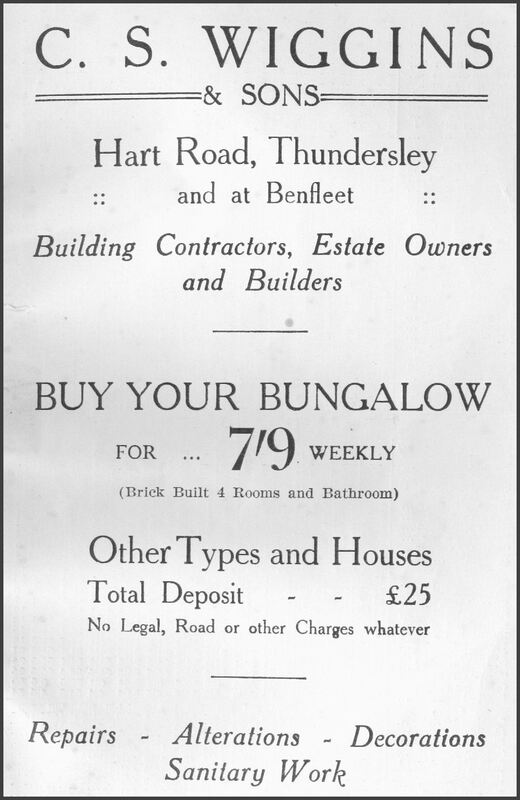 So it was that by 1927 Benfleet’s population had risen to two thousand, and the majority were new-comers. The outnumbered “natives” commonly regarded the invaders with considerable suspicion. Until shortly before my arrival the Parish Council had consisted entirely of “natives” who had stolidly resisted any attempt to introduce modern “improvements”. 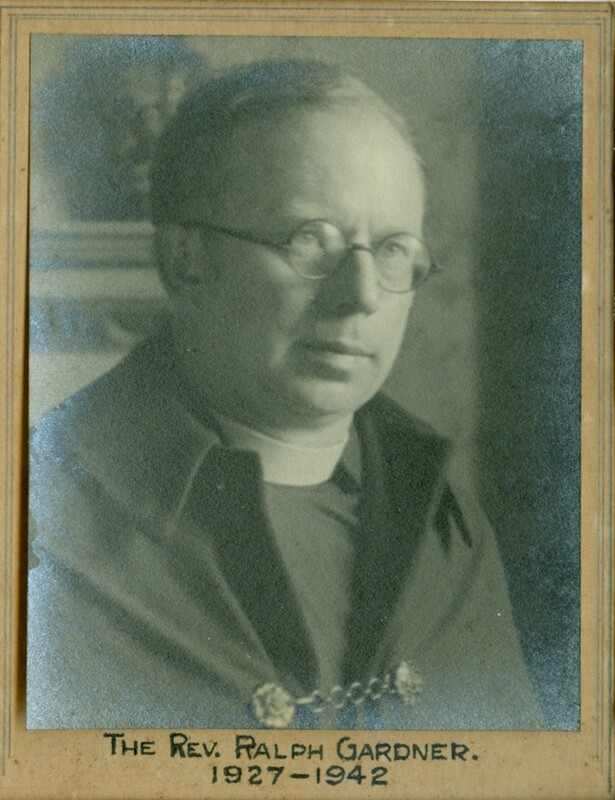 This attitude roused the “foreigners” – particularly, I believe, when the Council blocked a movement to provide the parish with a few street lamps. At the next local election a group of newcomers put up a complete panel of candidates, and the old councillors were all defeated. The first streetlamps were set up, I think, after I arrived.